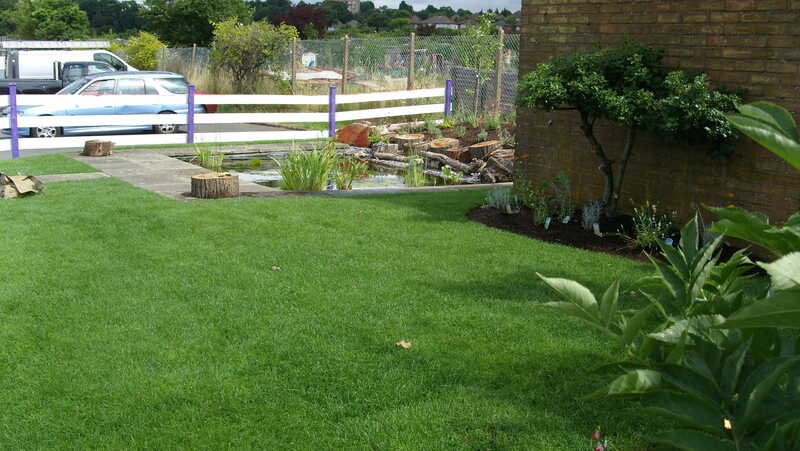 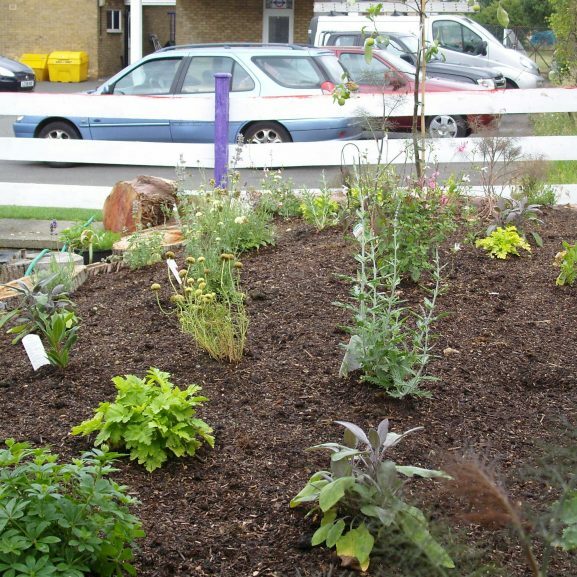 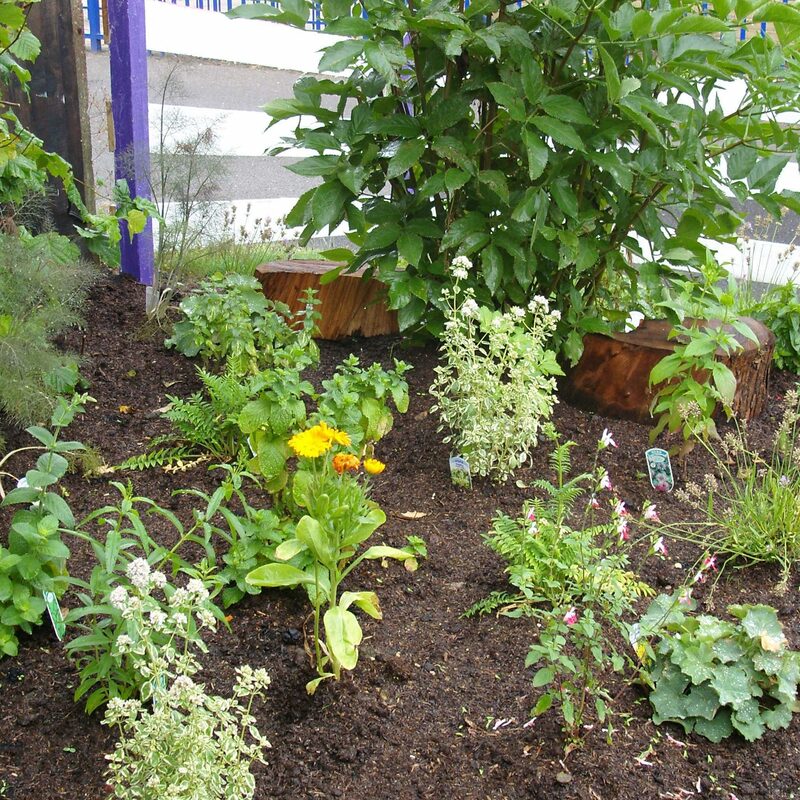 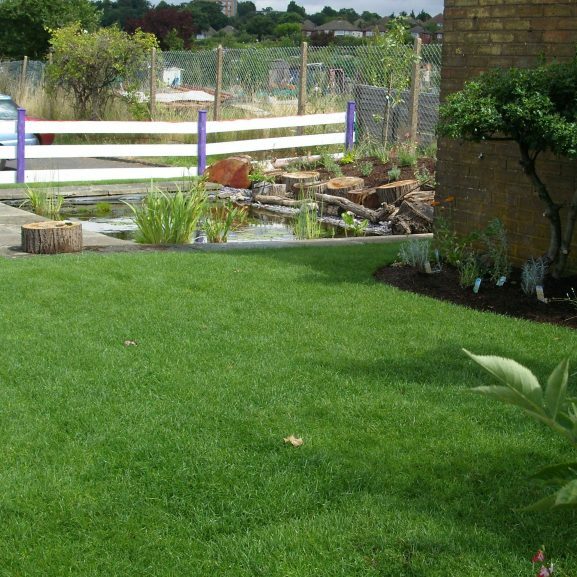 David Livingstone School had a wildlife garden that needed some reshaping and general uplifting. 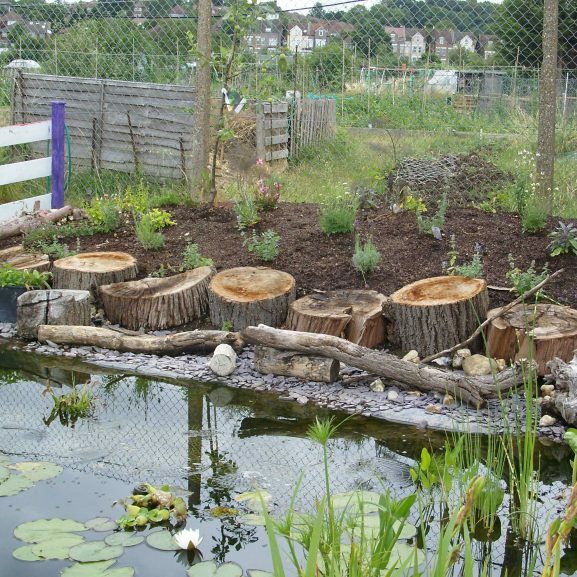 Michelle organised some volunteer days to help get clearing underway, then we got stuck in. 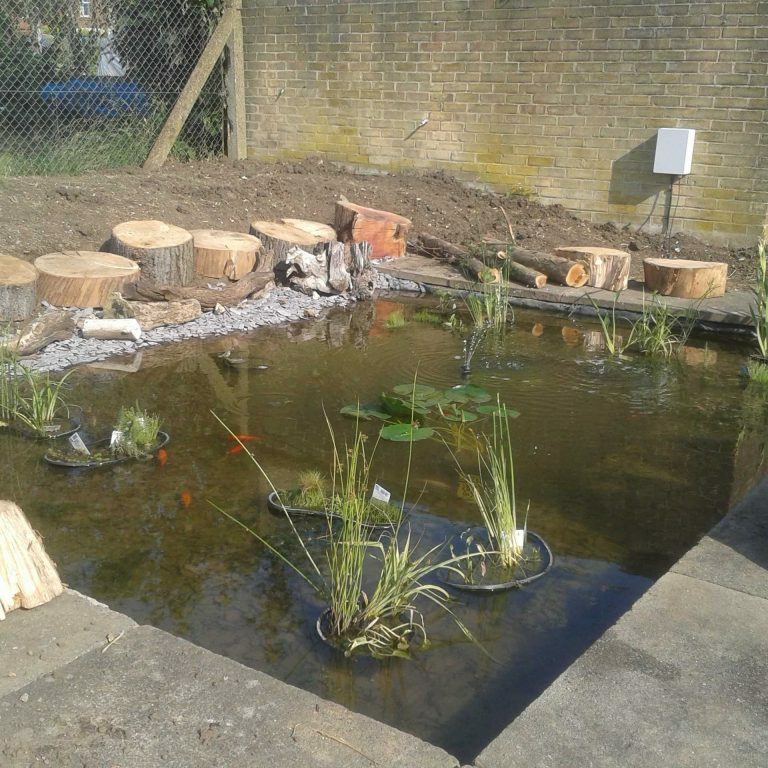 The pond was completely relined, using sand then underlay, heavy duty liner and finished with slate chippings. 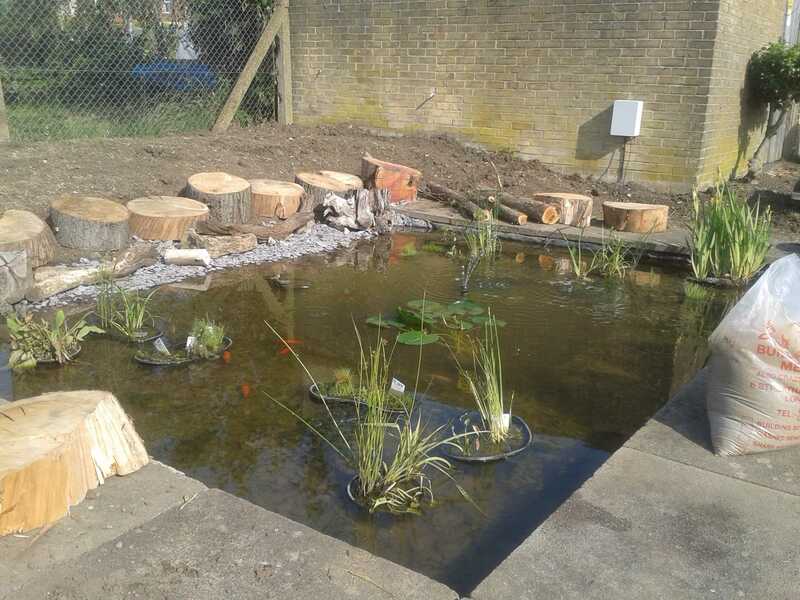 The inhabitants carefully transferred out and back into their environment along with a ‘starter’ amount of the residual sludge and a pond filter and pump installed. 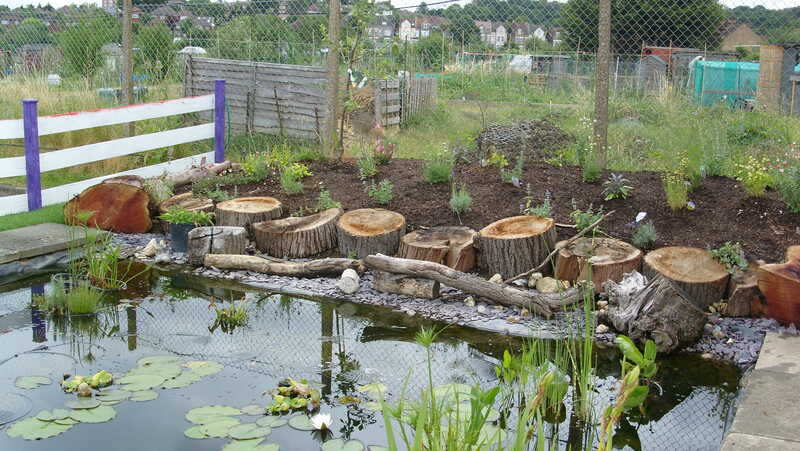 New pond planting, frog logs, turf and a mix of fruit, herbs and pollinator attractant planting was added. 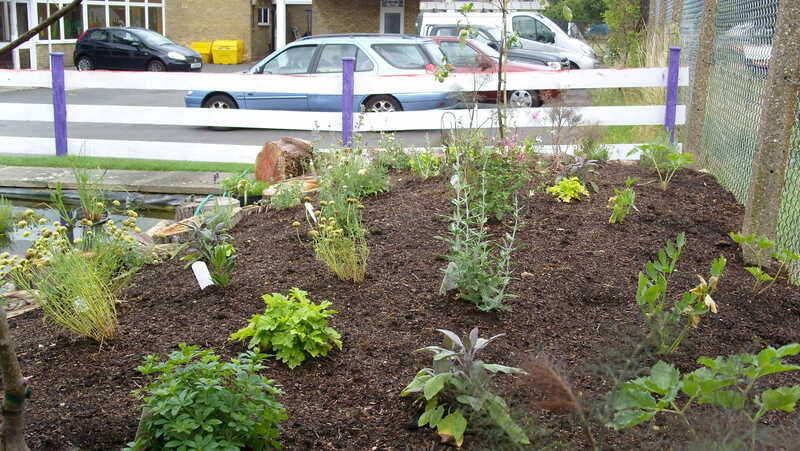 The wildlife and garden are thriving!